Real Taste of Fig ! Mutiara Figs was initiated by Mohd. Hilmi bin Yusoff, in his own house at Seksyen 7 Shah Alam. As architects, Mohd Hilmi bin Yusoff and his wife Faridah Hasni binti Ramli have had a keen interest in landscaping to beautify their own home in Shah Alam. He loves gardening and his late father trained him in gardening, as he had a lot of orchids. 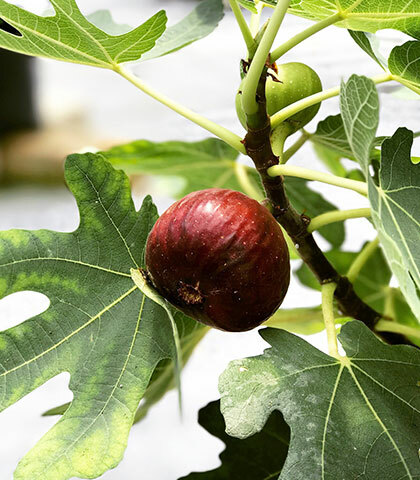 Planting figs started out as a hobby, till the family collected up to 300 varieties of figs. Upon discovering the health benefits and nutrition found in fig fruits and leaves. Native to the Middle East and western Asia, it has been sought out and cultivated since ancient times and is now widely grown throughout the world, both for its fruit and as an ornamental plant. The species has become naturalized in scattered locations in Asia and North America. 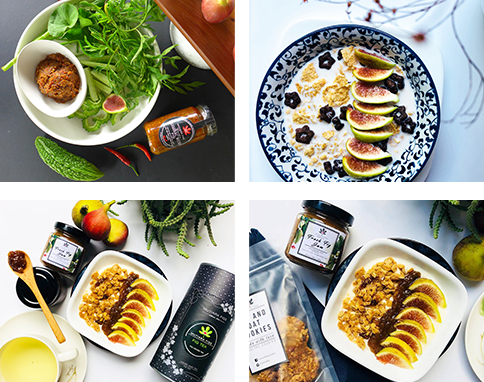 Using nature’s superfoods in all our products, we ensure that healthy eating can be fun & delicious at the same time. They’re not the most popular fruit, but they have the distinction of being one of the healthiest of all fruits. We innovate the food to make sure the community received the benefit of fig anytime of the year. We are proud of having local fig farm and inspired by local Asian flavours and sought to use local ingredients where possible! Easy for working people who don’t have time to cook! Looking for some cooking inspiration? Here, we’ve all the best recipes you need. No.3, Jalan Tengku Ampuan Zabedah J 9J, 40100, Seksyen 9, Shah Alam, Selangor. Lot 4114 Jalan Ikhsan, Kampung Jalan Kebun, Seksyen 30, 40460 Shah Alam, Selangor. Copyright © 2019 Mutiara Figs. All rights reserved.